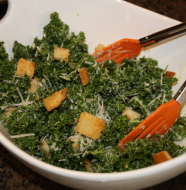 While we were in Utah skiing, this recipe popped up on one of the blogs I read. I knew at once it had to go on my menu for the upcoming week. 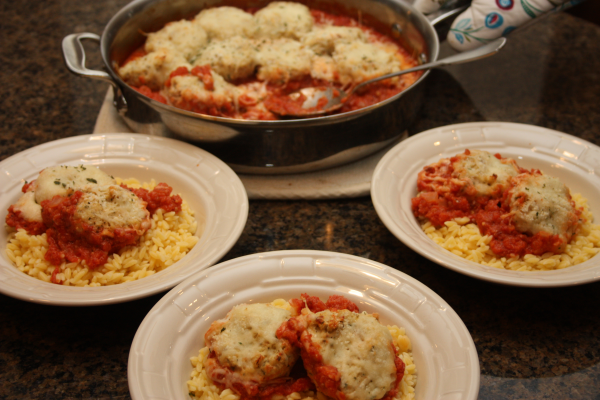 I love chicken parmesan and this variation of some of my favorite flavors had to be tried. It was a hit at our house! Everyone loved it. It came together fairly easy for a weeknight meal and the boys loved the meatballs. I loved everything about it. I served ours atop of some gluten free orzo and thought it was fabulous. I know this will be on regular rotation at our house. 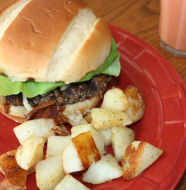 To make the sauce, add the tomatoes to a blender or food processor. Puree until smooth, adding a bit of the reserved liquid if necessary to smooth the mixture out. Melt the butter in a large, deep skillet or sauté pan over medium-high heat. Add the onion and cook about 1 minute, until it begins to soften. Stir in the tomato paste, garlic and red pepper flakes and mix just until fragrant, about 30 seconds. Stir in the tomato mixture, lower the heat to a simmer, and cook about 5-8 minutes, until the sauce is slightly thickened. Season to taste with salt and pepper. Remove the pan from the heat and stir in the cream. Set aside. To make the meatballs, combine the bread crumbs, finely chopped onion, parsley, basil, Parmesan, salt, pepper, garlic and egg. Stir together with a fork just until blended. Mix in the ground chicken and knead together gently until evenly combined. Form the mixture into meatballs about 1½-inch in diameter. Once the meatballs have browned turn the oven to 400 degrees. Place the meatballs in the pan with the tomato sauce. Sprinkle the mozzarella and additional Parmesan over the top. Bake until the cheese is fully melted and bubbling and the meatballs are cooked through, about 15 minutes. Remove from the oven and garnish with the fresh basil. Serve warm over orzo.